New York: Copper-Hewitt Museum, 1979. Original wraps. Near Fine. A crisp, clean copy of the 1979 1st edition. Tight and Near Fine in its magazine-like, folded wrappers. 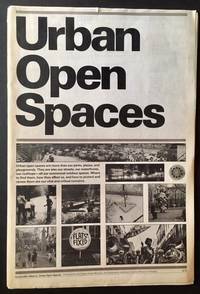 Folio, includes articles by Lawrence Halprin, Peter Blake, etc. Vancouver/Berkeley: Figure 1, 2016. Cloth. Fine/Fine. INSCRIBED BY THE AUTHOR --AND ARCHITECT-- ARTHUR ERICKSON on the half-title. An immaculate copy to boot of the 2016 1st edition. Solid and Fine in a bright, Fine dustjacket. 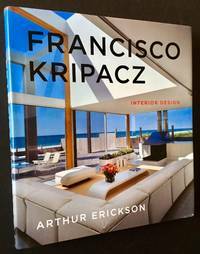 Quarto, impressive monograph on the man who created many of the exuberant interiors for buildings designed by the pre-eminent Canadian architect Arthur Erickson. New York: McGraw-Hill Book Co, 1972. Cloth. Near Fine/Good +. 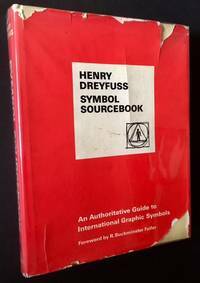 The 1972 1st edition of this comprehensive guide to International Graphic Symbols, compiled by the great Industrial designer Henry Dreyfuss. Tight and Near Fine (a touch of soiling at the fore-edge) in a bright, price-intact, Good+ only dustjacket, with notable tears and chipping along the panel edges. Still though, presentable and uncommon as such. Quarto, hundreds of crisp black-and-white designs thruout. By James A. Boon, Frederick Combs et al. Cambridge, MA: Graduate School of Design, Harvard University, 1971. Original wraps. Very Good. 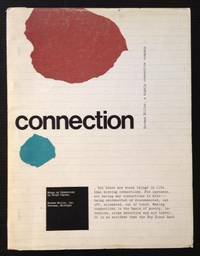 Uncommon 1971 issue of "Connections", produced by the Publications Subcommittee of Harvard's Graduate School of Design. Solid and VG in its red, spiral-bound wrappers, with very light offsetting to the panels and light wear along its edges. Oblong folio, includes articles such as "Viewers Viewing Viewers", "Regular Placing of Matter in Space", "Architecture as Klavier" and "Putting the New Back in Newark: Michael Graves' Newark Museum Addition"
Athens (New York): Deste Foundation for Contemporary Art (Diller Scofidio + Renfro), 2014. Hardcover. Near Fine/Fine. Fascinating 2014 design/fashion spread -- photographed by Matthew Monteith and using Philip Johnson's legendary Glass House in New Canaan, CT as a backdrop. A virtually pristine copy. Tight and Fine in a crisp, printed, translucent dustjacket. Elephant folio, wonderful color photography thruout, wickedly pointing to a hipster irony suffused in fashion. Japan, 2009. Hardcover. Fine/Fine. 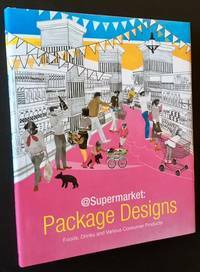 A prsitine copy of this Japanese exploration of state-of-the-art supermarket design. 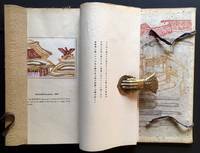 Text in both English and Japanese, beautifully designed and formatted by Daisuke Matsumura. A pristine copy: Tight and Fine in a crisp. Fine dustjacket. Quarto, wonderful color illustrations thruout. London: Theodore Brun/First Editions Limited, 1954. Full leather. Very Good +. The 1954 1st edition of this impressive history of graphic design in the book arts, "with special reference to lettering, typography and illustration". Solid, tight and VG+ to Near Fine in its wine-red leatherette, with decorative gilt-design and titling along the front panel and spine. Very light wear to the hinges (at the spine ends), otherwise clean as could be. The "Limited de Luxe" edition, #24 of only 150 copies issued. Quarto, 122 figures and 40 plates supplementing the text. New York: Rizzoli, 2009. Cloth. Near Fine/Near Fine. 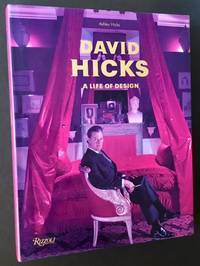 A very impressive copy of the 2009 1st American edition of this monograph on British interior designer David Hicks, written by his son Ashley. Tight and Near Fine to Fine in a crisp, Near Fine dustjacket. Tall quarto, lavishly illustrated thruout, with hundreds of color --and crisp black-and-white-- photos. New York: The Museum of Modern Art, 1959. Original wraps. Near Fine/Very Good +. 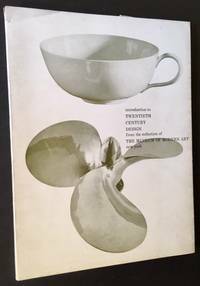 A clean, very sharp copy of this 1959 MoMA catalogue on 20th century design. Tight and Near Fine in its pictorial wrappers. AND IN A BRIGHT, PRICE-INTACT ("$2.95"), VG+ EXAMPLE OF THE UNCOMMON MATCHING DUSTJACKET, with one small closed tear along the spine crown. Octavo, crisp black-and-white plates thruout. Boston: Little, Brown and Company, 1932. Cloth. Very Good +/Very Good. A handsome copy of the 1932 1st edition of this highspot in early 20th century design. Tight and VG+ (light offsetting to the inner hinges) in a bright, price-intact, VG- dustjacket, with clear tape tastefully re-inforcing several closed tears along the rear panel -- and at the foot of the spine. Very light chipping and creasing as well along the panel edges. Still though, presentable and attractive. Quarto, crisp black-and-white illustrations thruout. 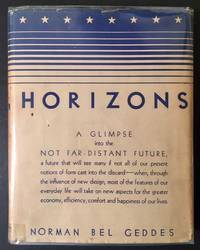 (From the dustjacket's front cover: "A GLIMPSE into the NOT FAR-DISTANT FUTURE, a future that will see many if not all of our present notions of form cast into the discard -- when, through the influence of new design, most of the features of our everyday life will take on new aspects for the greater economy, efficiency, comfort and happiness of our lives."). New York: Museum of Modern Art, 1937. Original wraps. Very Good. Uncommon MoMA castalogue based on the 1937 exhibition. 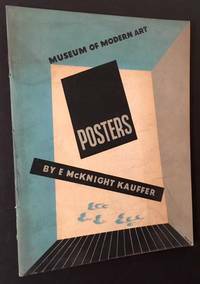 Text and notes by the great designer E. McKnight Kauffer, Foreword by Aldous Huxley. 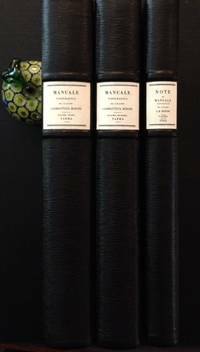 Slim quarto, solid and VG in its stapled wrappers, crisp black-and-white playtes thruout. 2,750 copies originally issued but few seem to have survived. New York: Parsons School of Design, 1971. Original wraps. Fine. A handsome copy of the Parsons School of Design booklet (prospectus) for the 1970-71 school year. Clean and Near Fine to Fine in its wonderfully-designed wrappers. Oblong octavo, 71 pgs., also include the publisher's folding chemise. As stated on the front cover, Parsons at the time was also connected to The New School. New York: Lubalin, Burns & Co. Inc, 1970. Original wraps. Fine. 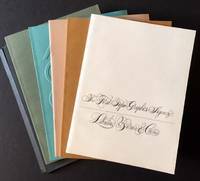 An uncommon 1970 archive of 6 typeface and typography booklets, issued by one of New York's most influential --and iconic-- graphic arts firms, Lubalin, Burns & Co. All 6 booklets are in pristine condition: bright and Fine in their printed wrappers. Uniform 12mos, wonderfully illustrated thruout. 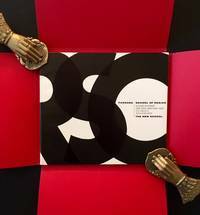 The 6 titles are: "The First Typo-Graphics Agency", "Typeface Directory", "Transfer Sheets", "Avant Garde Gothic", "Typo-Graphics" and "L.S.C. Typefaces"
I.T.B.-Italtecnobeton, 1965. Original wraps. Near Fine/Near Fine. 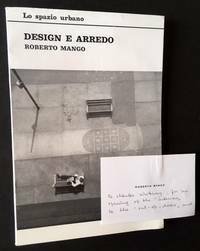 A handsome copy of the 1965 1st edition of this study of Mid-Century Italian design. Clean and Near Fine in its printed white wrappers. And in a bright, VG+ to Near Fine dustjacket. Octavo, dozens of crisp black-and-white photos thruout. Also includes the author Roberto Mango's card, which he's inscribed to Charles Whitney. Text in Italian. Stockholm: Svenska Slodjforeningen, 1961. Original wraps. Near Fine. 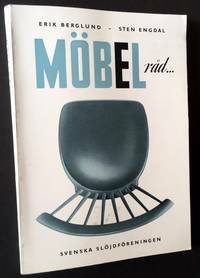 A crisp, very clean copy of this impressive 1961 modern furniture catalogue, issued out of Stockholm. Tight and Near Fine in its pictorial wrappers. Octavo, text in Swedish, with an "English summary" at the rear. New York: The Limited Editions Club, 1932. Cloth. Very Good +/Very Good. #5 OF 452 COPIES ISSUED SIGNED BY W.A. DWIGGINS at the limitation. THIS COPY ALSO INCLUDES A WELL-PRESERVED EXAMPLE OF THE PUBLISHER'S FRAGILE --AND UNCOMMON-- GLASSINE DUSTJACKET. Solid and VG+ (with very light wear along the spine ends and the hinges) in a crisp, VG dustjacket, with several closed tears and very light chipping along the panel edges. Quarto, tipped-in examples of stamps and paper currency at the rear. Parma, Italy: Franco Maria Ricci, 1964. Cloth. Near Fine/Near Fine. Franco Ricci's lavish 3 volume facsimile re-issue (1964-65) of Giambattista Bodini's seminal 1818 "Manuale Tipografico". #657 of 900 copies issued. All 3 folio volumes are clean and bright and in superb condition. 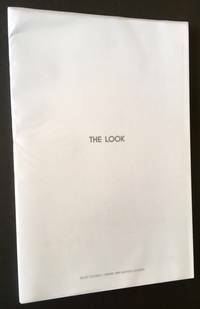 Also included are the publisher's thick mylar dustjackets and folding booklet (containing printing information) at the rear pastedown of Vol. III. 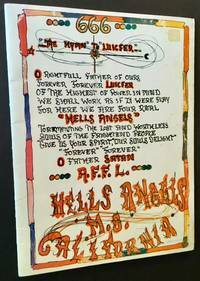 A beautifully produced facsimile, complete in 3 volumes. New York: Whitney Publications Inc, 1951. Cloth. Very Good. Nino Repetto, Henry Stahlhut and Mario Carreno. 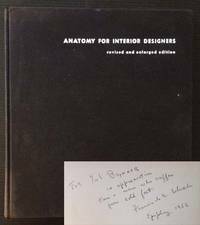 A nice Association copy: WARMLY INSCIBED BY THE AUTHOR FRANCIS DE N. SCHROEDER TO ACTOR YUL BRYNNER on the front free endpaper. 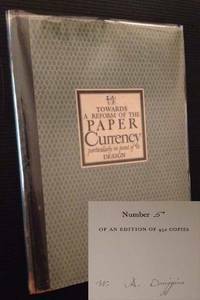 A solid copy to boot of the 1951 second edition. Tight and VG+ in its dark cloth, with just a bit of soiling to the panels. Quarto, illustarated thruout by Nino Repetto, Hanry Stahlhut and Mario Carreno. Zeeland. Michigan: Herman Miller, Inc, 1978. Original wraps. Very Good. The 1978 1st edition. Solid and VG in its stapled wrappers, with light soiling to the panels. Quarto, 44 "incomplete thoughts"